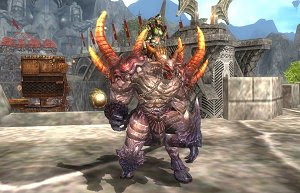 Rise of Dragonian Era (RODE) is a free-to-play MMORPG from Mgame USA. Players may enter the new fantasy world of Piral, pledge allegiance to their dragon lord, and take part in the war against the forces of chaos. With two nations to choose from as well as a number of races, classes, and specializations, players will enjoy exploring vast lands and dungeons on their adventure while defeating enemies and overcoming obstacles that stand in their way. Featuring engaging story quests, a pet system centered on hatching your own dragon, extensive crafting and upgrading systems, a premium item store, auction houses, guild system, ground and aerial mounted combat systems, and a forthcoming castle siege mode. In RODE, fans will find a new and immersive fantasy world of dragons, conflict, and adventure.